Keyword maps can take a variety forms and still guide your site to SEO success. There’s no one-size-fits-all template. However, there a few things you must do if you want to do it right. 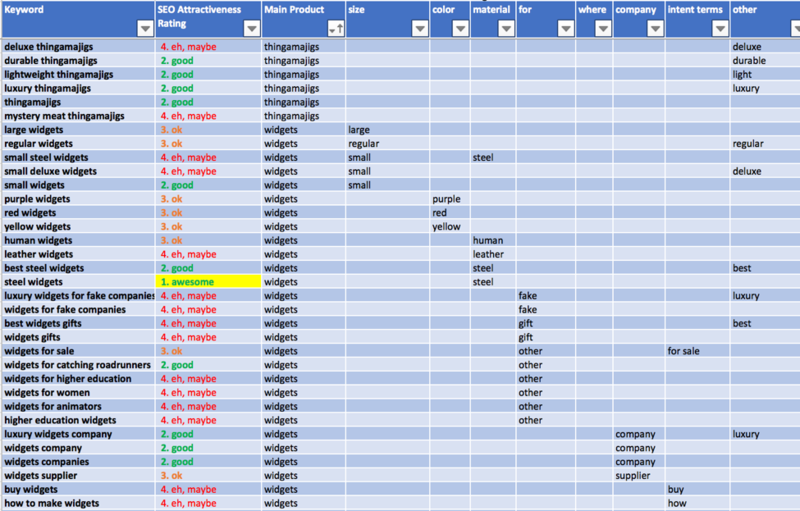 When you’re planning out your keyword mapping strategy, there’s a lot to consider, and a lot of methods to use for the process. In this post, I’ll share these essential tips for proper SEO keyword mapping, and some specific examples of how we’ve executed those tips here at Adept – including keyword mapping templates you can use for your own efforts. What is SEO Keyword Mapping Anyways? Keyword mapping is the process of figuring out a plan of which pages you’ll attempt to get ranking for your target search queries. Let’s go over those in depth. Why? What are the overall marketing goals? Who is the target audience, and what do they want? This is a step many SEO agencies skip or rush through, much to their clients’ detriment. 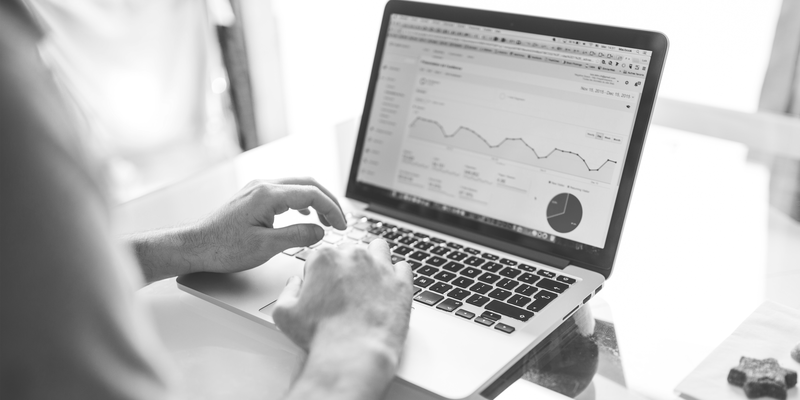 But it’s critical to understand what the keywords you’re researching actually mean, and if ranking for them would bring traffic that would do anything to help overall marketing objectives. At Adept, we’re constantly trying to improve our understanding of goals, audience, offering and jargon – it’s not only step 1, but part of how we do steps 2, 3, and 4, too. To do keyword mapping right, you’ve got to make sure you understand which search queries and content currently drive traffic and conversions. Once you understand the scenario and the site, it’s time to identify the segments of keywords you want to go after. Start big. To ensure you don’t miss any important keywords during the initial exploration phase of keyword research, start with by identifying all the different keyword groups you can find that potentially offer significant value to SEO efforts. You’ll whittle the list down later. Analyze and prioritize. Evaluate the data on keywords’ quantity, quality, and difficulty, and identify the most attractive keywords. 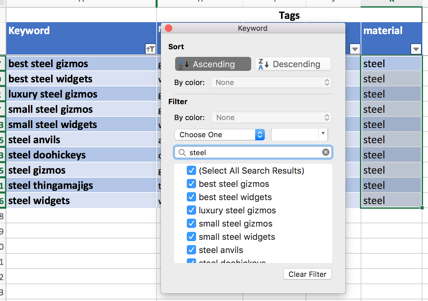 Look past the individual keywords and into themes, topics, and segments of search queries. Consider different ways of segmenting the keywords. Evaluating different mappings will produce a far superior end product. Keyword-tagging is my preferred method here. I use the phrase “keyword tagging” here to simply describe the process of giving helpful descriptive labels to keywords, where each keyword can have as little or as many tags as you choose. With some Excel tables, it’s actually quite easy. Just filter your keywords columns as desired, then enter your tag in the appropriate tag column and auto-fill it to bottom. Then, rinse and repeat until done. You may find some of the types of tags above can apply to your own company’s keywords, particularly if you sell products. I like to draft a starting tagging framework at the beginning of keyword research, to help me with “seeding” for generating the initial list of keyword ideas. It comes particularly in handy with combining two seed terms into keyword ideas. All the previous work is for this final step. If you’ve put in the work, it’s just a fun game of picking, matching, and prioritizing. A proper SEO sitemap is rooted in a deep understanding of what content the target audience(s) is looking for; it is a guide of how you’ll provide that content to them in a logically structured manner. Keyword mapping is so vital to SEO that it should never truly be considered finished.